Night Sky by Susan Yankowitz at Chowan University, November 18-20, 2016. Performances are Friday, November 18 and Saturday, November 19 at 7 pm, and Sunday, November 20 at 2:30 pm. Performances take place in Turner Auditorium in the McDowell Columns Building on the Chowan University campus. Admission is $2. All funds raised will benefit PRINCESSES ON A MISSION, a charity for children with cancer and rare diseases in northeastern North Carolina. Patrons are encouraged to arrive early. 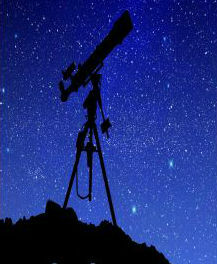 Night Sky depicts the story of a brilliant and articulate astronomer named Anna. When Anna is unexpectedly hit by a car, she loses her ability to speak; a condition known as aphasia. As Anna reintegrates into her world, she must try to realign and reconnect with her family, her friends, and her colleagues. Ultimately, Anna discovers the limitations and possibilities of language. She also comes to accept the nature of change both in herself and in her universe.